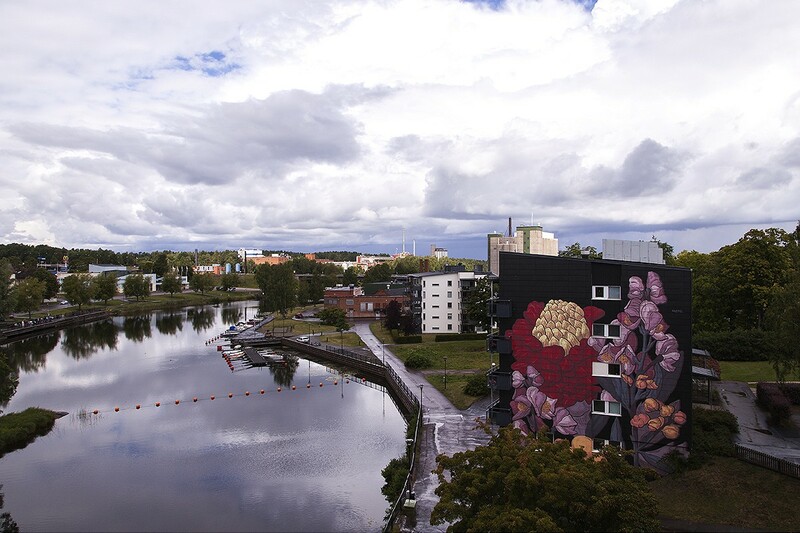 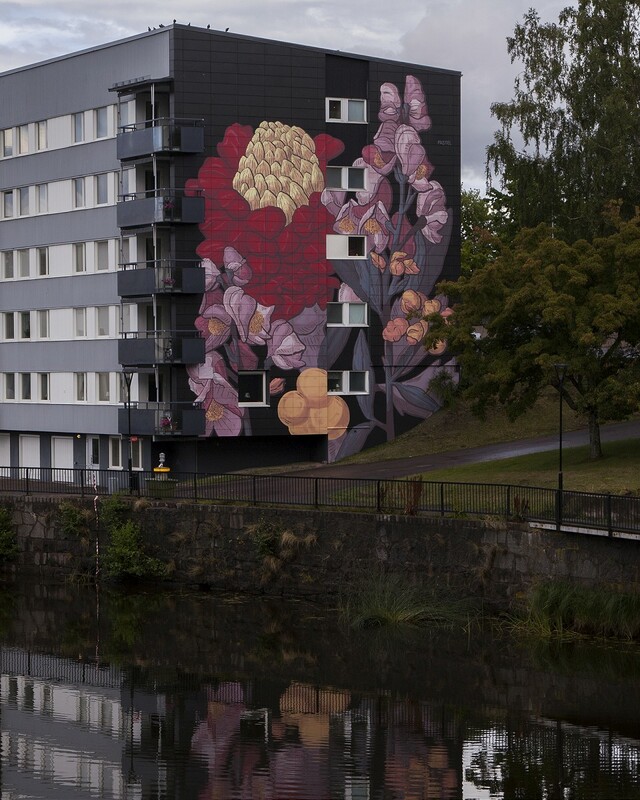 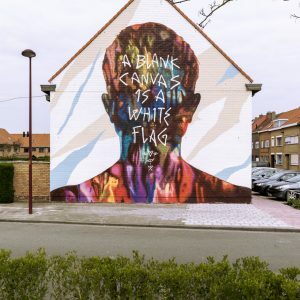 Continuing his summer trip through Europe and taking part in festivals and project, our friend Francisco Diaz aka Pastel recently painted a new piece in Säffle, Sweden. 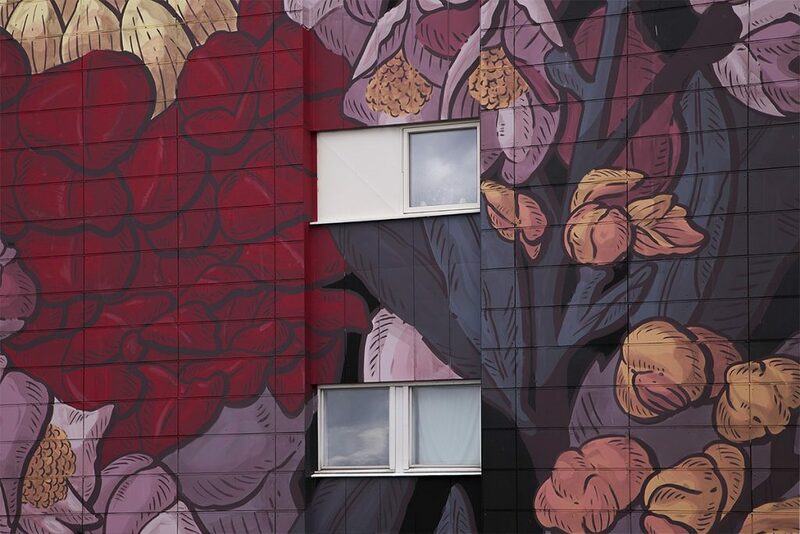 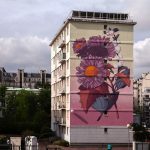 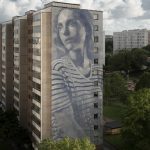 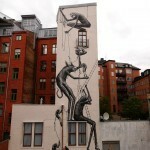 Invited by the Artscape festival, the Argentinian artist created one of his floral composition on a residential building in the area. 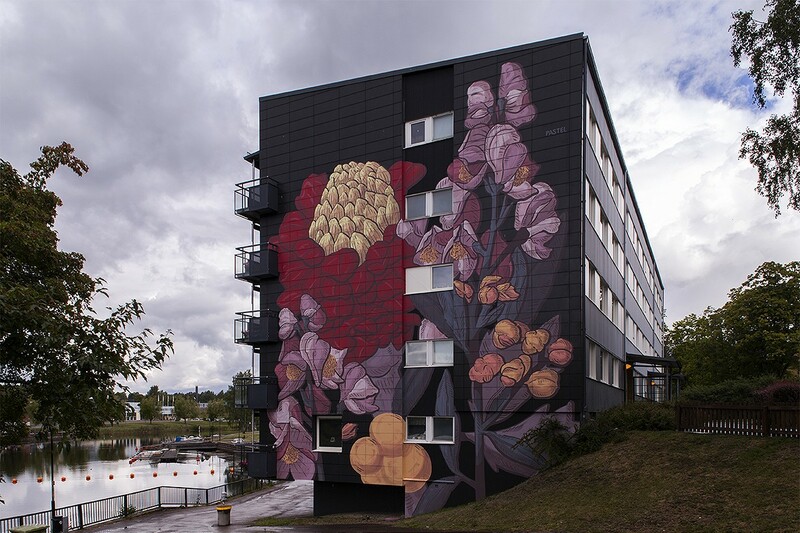 Matching his color choice with the given structure, this piece nicely blends the red, orange and pink tones with the dark facade of the building. 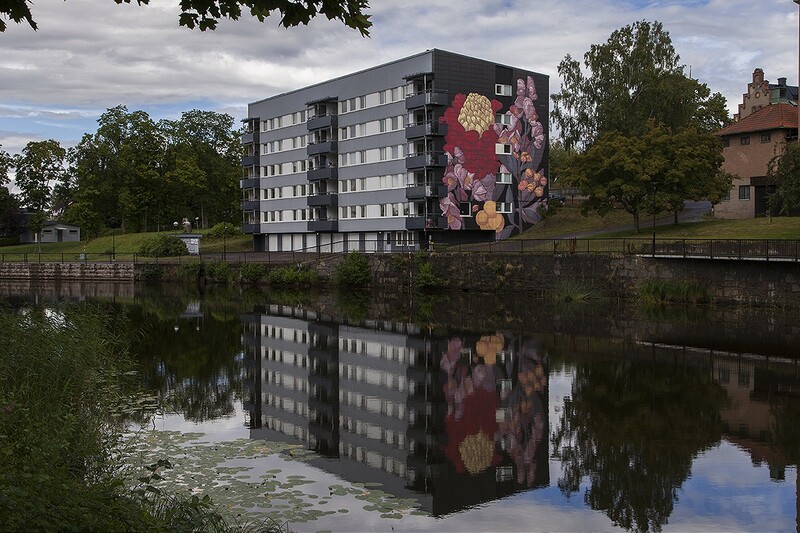 Juxtaposing the rich, almost ornate imagery against the strict architectural lines, Pastel created a clever connection between the building itself and it’s idyllic waterside surrounding. 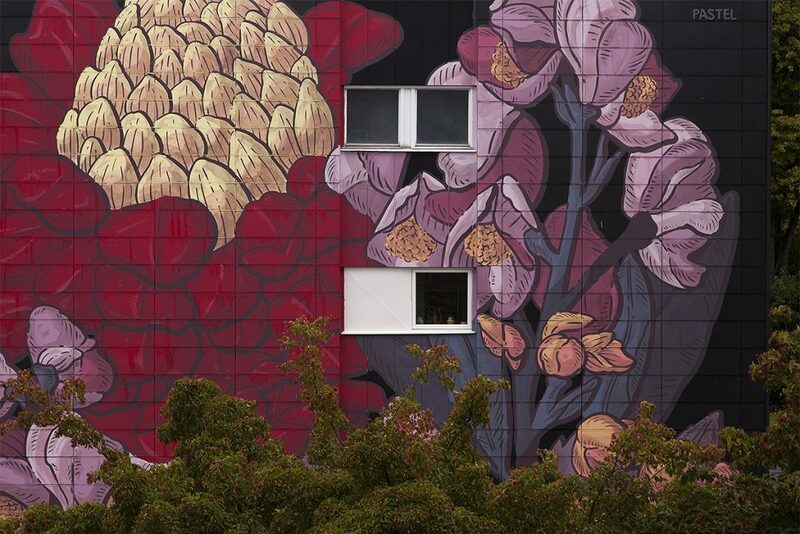 Large in scale, these plants are shown as if they are growing on the side of the building, adding to the lush environment the work is in. 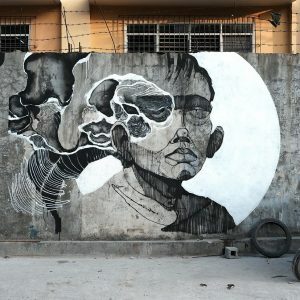 Check out more closeup and overview images after the jump and please let us know what you think about this piece in our comment section.